After putting up so much of your hard work and earning money every month, many people still struggle to meet the month end with money in their hands. The majority of the people tend to get out of money when coming closer to the month and during those last few days, one struggles to manage financially. On the other side, it is never about the money earned but about the strategies of saving and cost cutting wherever required. With right lifestyle approach, one can easily manage to save a lot of money. There is always a set of expenditures which occur every month and is always constant. For example, paying bills, grocery shopping. By the beginning of every month, list out the various expenses that are fixed for that month along with the estimated expenditure. This will help you give you a clear indication of the exact spending figure and if it goes over the budget then you know where to look at the problem. 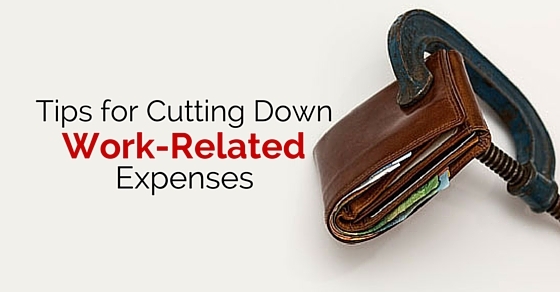 These are the expenses which may or may not be part of your spendings every month. For example, going out for lunch or an outing or watching a movie. Estimate how much variable money on an average you spend as this will give you a fair idea as to where the savings can be made and when it is required to spend the money. Making a plan also provides a clear vision of required expenditure and once you go overboard then you already know when to stop. Another helpful and important practice is to write down your expenses at the end of each day, as this will provide you an information of your average daily and monthly expenditure while reviewing your expenses. It will give you the correct information of the unnecessary money spend each day or month, for example, those who smoke does not realise that spending on cigarettes on a daily basis adds up to huge expenditures by the end of every month. An exact figure will provide you a fair idea of the amount of money spend on something which is harmful to health. Having lunch outside daily is not only harmful to health but is also an unnecessary expense. Ensure to carry your own lunch from home, as the home made food is clean and healthy when compared to the outside food, also, it saves a lot of money spent on it. One does not realise the money spent on eating outside, try calculating it by the end of every month then the figures will turn out to be quite shocking. Travelling is another area where most of the money is spent, hence, find the closest office colleague that stays near you and try for carpooling. This is not only money saving but it is also a tiny contribution that you can make towards your environment. Some days you can offer to bring your vehicle and other days you can come along with your colleague. Sharing the fuel cost will drastically bring down the expenditure for you every month. Look into the various phone connection offers that are going on, since, due to intense competition in the mobile market various companies are coming up with money-saving plans. Changing your phone plan will bring a lot of financial savings into your account. Explore various options and talk to the customer service, also ensure to take the feedback from your friends and colleagues who are using those mobile plans to know the benefits of those plans. Another most neglected part of spending money is the electrcity bill. Keep a check on your electricity bill. One does not realise how much money can be saved only by switching off the lights when not in use. While initially one might have a trouble in doing it but when you will see the amount of money saved then this will be the motivating step to do it. Another way to cut down your expenses is to prevent the use of debit and credit card while making a purchase. Since spending from the card is an easy expenditure where one does not realise the amount of money spend unknowingly. Similar is the case with the credit card, where if the spending limit is high then due to the easy availability one spends the money, which hurts when paying the bill for the same. Therefore, ensure to pay by cash as this will provide you the reality check of expenditures you make. If you find saving money or cutting your expenses difficult to do it alone, then it is better to take help from your friends and family, who can guide you and keep a regular check on you? Share your goals with them and let them know how important their effort and motivating words will benefit you. Your close acquaintances will help you the most to guide you towards your goal. Another way is to find the people with similar goals where you all can motivate each other to save and keep a check if one is not spending unnecessarily. Impulsive shopping is the most common concern with majority people these days. With so many advertisements going on and with easy money of credit card in hands, spending has become easy like never before. Ensure that if it is not required to you then there is no need to buy it. Infact before making any random purchase hold back few steps and think about the reasons that you intend to purchase for it, if you think there is no need for it then it is better not to buy it. With such a hectic life these days, one tends to spend most of the time sitting on the chair and daily stress adding leads to an unhealthy lifestyle. Once you are sick then back and forth to the doctor is not only physically excruciating but also adds up to unnecessary expenditures. Therefore, take care of your health with regular exercise, meditation and most importantly eat good food. A good health will provide you energy and mental peace. Coffee has become a regular kick start for a day for many people. The habit of morning coffee while on the way to office is becoming common these days, this is an area where you can put your effort to prepare your own coffee every morning in the comfort of your home. Where you have the freedom to make it as per your choice and can enjoy it inside your home peacefully. These are the luxurious money spent on your vacations or things like going to expensive trips or any retail therapy. Remember, these might not be your real requirements but they are just marketing gimmicks from the companies to boost up their sales. Taking a holiday and enjoying a good trip is refreshing and a good experience, but getting influenced by those ads promising fancy trips is something one should be cautious about. If you are single and working, then it is advisable to share your apartment as paying rent will drastically bring down your expenses. The living is another area where people spend a lot of money and bringing a roommate will lower the costs not only in rent but for electricity charges or sharing other common things. Even consider shifting with your parents for a while, as it will save a lot of money which can be used for your investments. Everyone dreams of owning a big house and live a king size life. But on a practical note, if you are a family of two or four then owning a house of ten rooms will not be beneficial for you. Since having a huge house leads to additional maintenance cost, extra house tax, using additional electricity. Therefore, it is good to live in space which you can manage and maintain it well. Managing money and becoming rich is possible for everyone only if one diligently and wisely work with money. It is easy to earn money but to retain it and become rich with it is an art, where one needs to know when to spend money and when it should not be spent. Above points are just a few money saving tips but there are more ways with which cost cutting is possible and alongside you can enjoy everything. Making sensible sacrifices when required will keep your money safe for the days when it will be needed the most.